Lake George is a 190 foot deep, 32-mile long, clear-water oligotrophic lake situated in the southern Adirondack Mountains of New York State. The lake is an abundant fishery, managed to ensure adequate supplies of cold-water fish such as Lake Trout and Salmon. 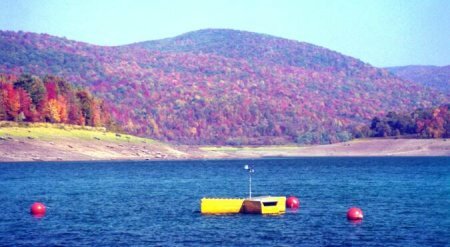 Human activity and changing land use around the lake (perturbation of the watershed) in the last 15 to 20 years is suspected of increasing the rate at which nutrients and other pollutants are coming into the lake. Lake George is currently listed on New York’s PWL due to nutrients levels. Additional concerns include the invasion of exotic species (e.g., Eurasian milfoil and zebra mussels).